1. In small bowl, combine marinade ingredients and set aside. Thread shrimp on eight 10-inch (25 cm) metal or bamboo skewers in "C" fashion. Brush with marinade and let stand 15 minutes in refrigerator. 2. Meanwhile, in small saucepan, combine sauce ingredients, except zest and ginger. Bring to a boil over high heat and boil 3 to 4 minutes or until reduced to 1/2 cup (125 mL). Remove from heat and let cool. Add zest and ginger. 3. Coat grill pan with canola oil cooking spray and place over high heat until hot. 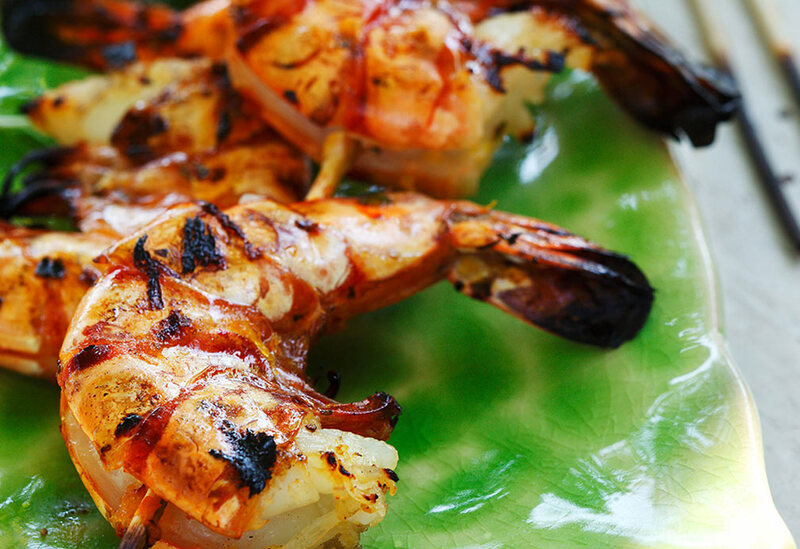 Remove shrimp from marinade; discard marinade. Cook shrimp 2 minutes on each side or until opaque in center. Remove from heat. 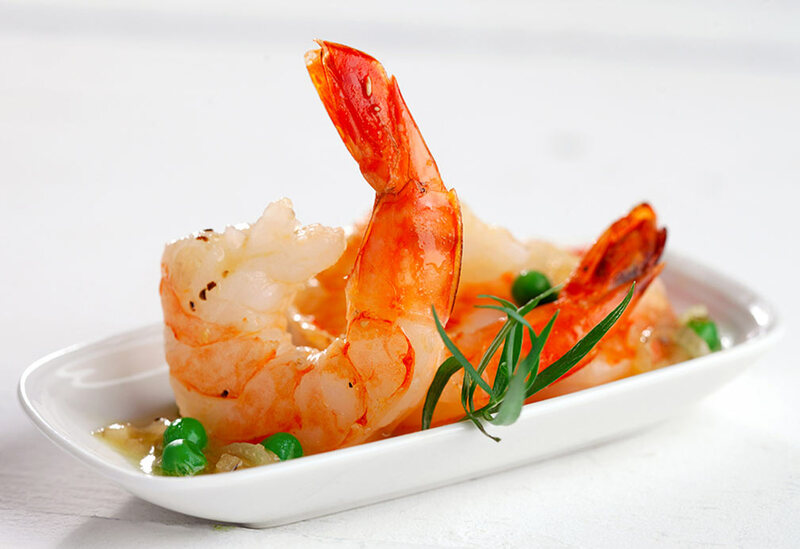 Brush sauce on shrimp or serve alongside as light dip. Tip: The sauce also goes well with grilled pork, chicken breast or fish fillets. 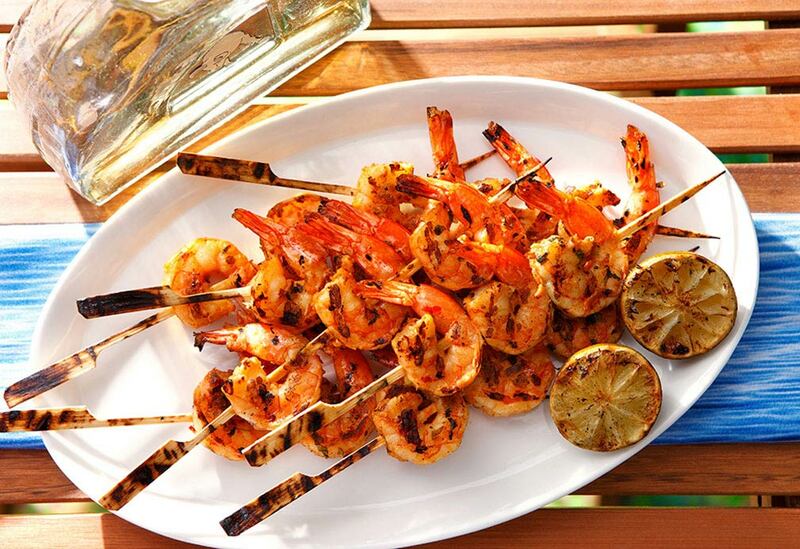 This recipe brings the flavours and aromas of lemonade with a subtle hint of mint to grilled shrimp. Enjoy this light-tasting and refreshing treat as an appetizer or main course meal! 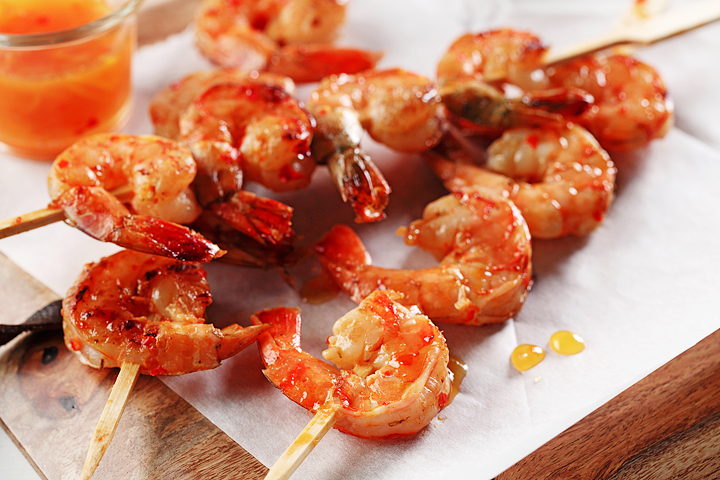 These shrimp are flavored in a zesty tequila, garlic, lime and chile marinade.